A set of 2 Equation circular school tables which are ideal for classroom use in schools, pre-schools and nurseries. A choice of heights makes them suitable for a range of ages from 3 years to 14+. The circular shape supports group activities and team work with in the classroom as children can easily work together in groups. 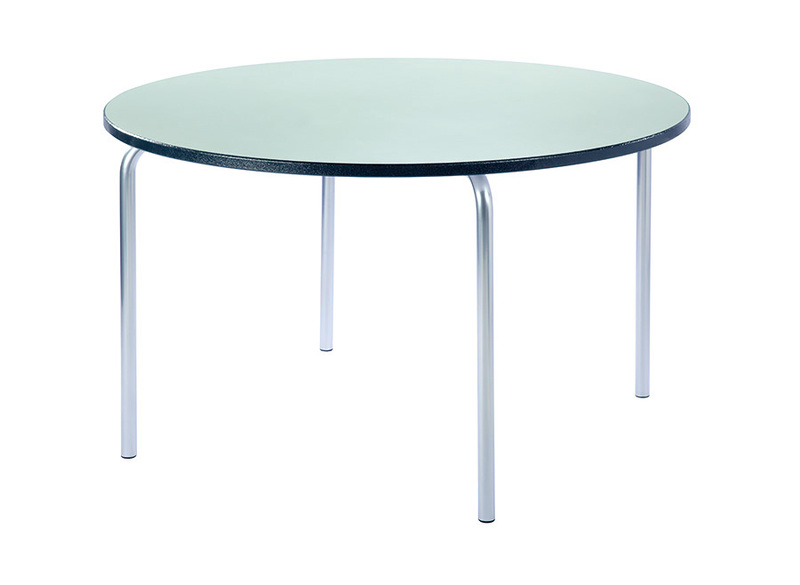 Each table is manufactured with a stylish, 32mm round steel frame with a speckled light grey finish. The 25mm table top comes in a choice of 11 laminate colours and is finished with a durable, textured spray PU edge in either blue, light grey or charcoal. 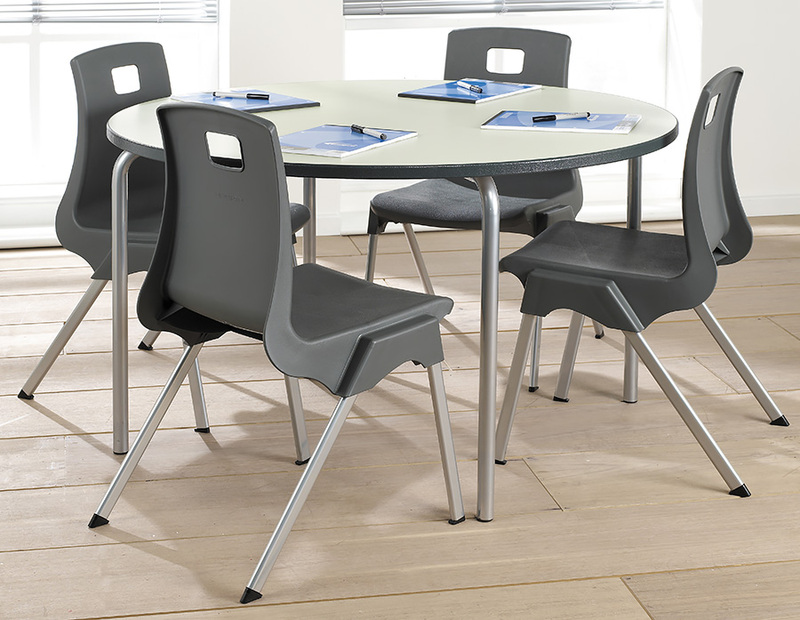 Other benefits of the circular equation tables include height adjustable feet, to ensure that the tables never wobble, and tamper-proof screw fixings which are ideal for educational environments. Equation tables are designed and manufactured in the UK and include a 10 year guarantee. Also available in the equation table range is the Rectangular, Square, Trapezoidal, Semi-Circular and Arc tables. For a fun modular solution we also offer the Equation Leaf and Equation Jewel tables which fit together to create a range of fun shapes in different combinations.